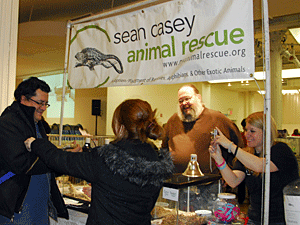 Sean Casey Animal Rescue is just one of over 150 Alliance Participating Organizations (APOs). The New York Breed Rescue Network (NYBRN) is a sub-coalition of Alliance Participating Organizations (APOs) that have chosen to concentrate on the placement of purebred (or nearly pure) dogs and cats. These groups view puppymills, petshops, and irresponsible breeders as the problem, and believe that by combining their efforts toward a common goal, they will make a real difference. If your organization is an APO or would like to become an APO, this section contains the forms and other resources you need.